In life and in his grisly family suicide, Goebbels was one of Hitler's most loyal acolytes. Though powerful in the party and in wartime Germany, Longerich's Goebbels is a man dogged by insecurities and consumed by his fierce adherence to the Nazi cause. 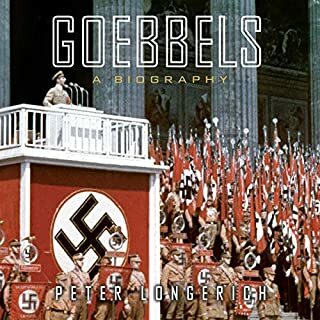 Longerich engages and challenges the careful self-portrait that Goebbels left behind in his diaries, and, as he delves deep into the mind of Hitler's master propagandist, Longerich discovers firsthand how the Nazi message was conceived. This complete portrait of the man behind the message is sure to become a standard for historians and students of the Holocaust for years to come. As early as 1941, Allied victory in World War II seemed all but assured. How and why, then, did the Germans prolong the barbaric conflict for three and a half more years? In The German War, acclaimed historian Nicholas Stargardt draws on an extraordinary range of primary source materials - personal diaries, court records, and military correspondence - to answer this question. He offers an unprecedented portrait of wartime Germany, bringing the hopes and expectations of the German people to vivid life. 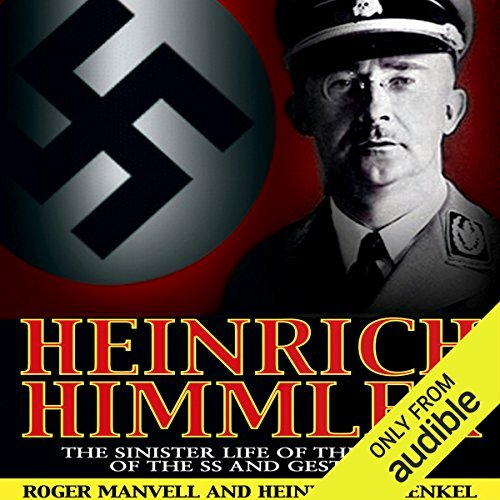 In this revealing biography, Roger Manvell and Heinrich Fraenkel examine the life of Heinrich Himmler, tracing the evolution of an ordinary boy into a man who would supervise the extermination of millions. 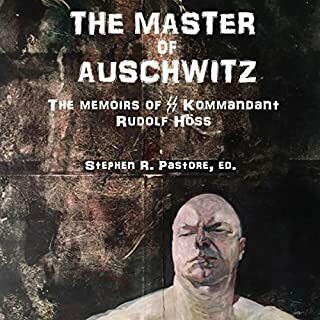 The authors paint a portrait of a man whose insecurities magnified his obsessions and paranoia, leading him to orchestrate one of the worst atrocities in history. Multiple AudioFile Earphones Award winner Joe Barrett's somber tone is leavened by his vocal clarity, creating a smooth narrative flow that allows listeners to appreciate the meticulously-researched details of Himmler's life. ©1965 Roger Manvell and Heinrich Fraenkel (P)2012 Audible, Inc. This book is book three of a trilogy; the other two books were “Joseph Goebbels” and “Hermann Goring”. I understand this was the first in-depth biography of Himmler. This book on Himmler was first published in 1965. Roger Manvell (1909-1987) died in 1987; he was born in London England. He was the first director of the British Film Academy. He was the author of many books on film making and on Nazi Germany. In 1975 he became a professor at Boston University. Manvell wrote this book with Heinrich Fraenkel (1897-1986). Fraenkel was a well known biographer of Nazi War criminals. Fraenkel was born in Leszno, Poland. At the time of his birth it was known as Posen, Germany. Fraenkel immigrated from Nazi Germany to Britain. He was also a well known chess player. This book on Himmler was first published in 1965. Himmler was the head of the SS and he supervised the extermination of millions. The authors follow his life from boyhood to his death. He is thought to have developed the Nazi “science” or racial purity theory and the idea of the superiority of the Aryan people. The book covers some of the most difficult periods of the Nazi rule. I found the book a fascinating study of Himmler and the people around him. This book goes into how the Nazis rose to power in Germany and what they did with this power. The book is well written and meticulously researched. The authors reviewed all the archived documents on Himmler as well as diaries, correspondence and other materials. They also interviewed people involved with Himmler. 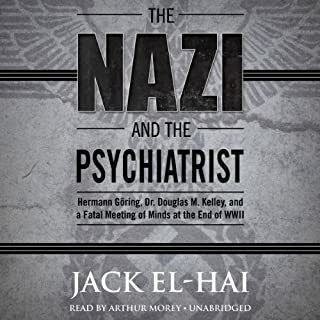 Audible Studies produced and published this as an audiobook in 2013. Joe Barrett has won multiple “earphone awards” for narration of audiobooks. Barrett’s narration of the book was excellent. The author promised to present the story without being judgmental and succeeded. We are left to the inevitable conclusion by the facts themselves. Having a minor in history and heavily in WW2 I have read quite a few books and articles on the SS. This book brought out some perspectives that I had not heard yet. I will check out some of the other books out there that folks are recommending. Joe Barrett does a great job with the narration. how Himmler was a sickly man throughout his entire life and his battles with his own high standards he set for himself. His stomach ailments were crippling. The strange thing about him where was that he was unaware of his own evil, because he made excuses for himself constantly. There's a lesson there for all of us. It wasn't until the end of the listening of this book and I realize it was written in 1965. I probably wouldn't have chose it if I knew it written 50 years ago. However I'm very glad I did. 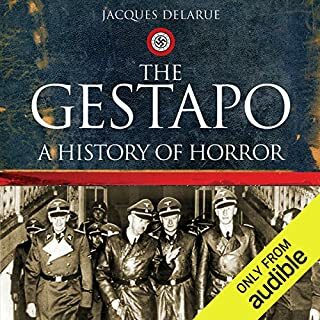 Since the earlier books the closer to the actual time frame that the crimes of Nazi Germany happened the more realistic they are. 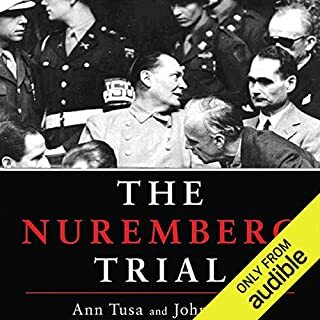 This book tells in detail with interesting and understandable information about one of the greatest murderers in history. facts good, author involves too much personal opinions to make this book usable for teaching. 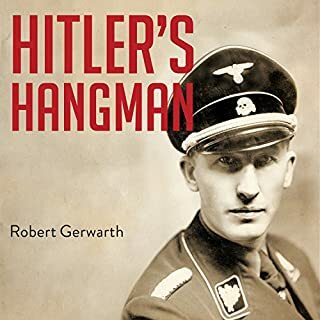 A valuable psychological criminal profile of Hitler's Gestapo General, Heinrich Himmler, who later joins Hitler, Goring, and Goebells as NAZI Socialist elite who chose suicide rather than face the public gallows.